At the Melrose Apartments, you have modern convenience and luxuries combined with excellent location and a flexible pet policy that all equals a great place to live. 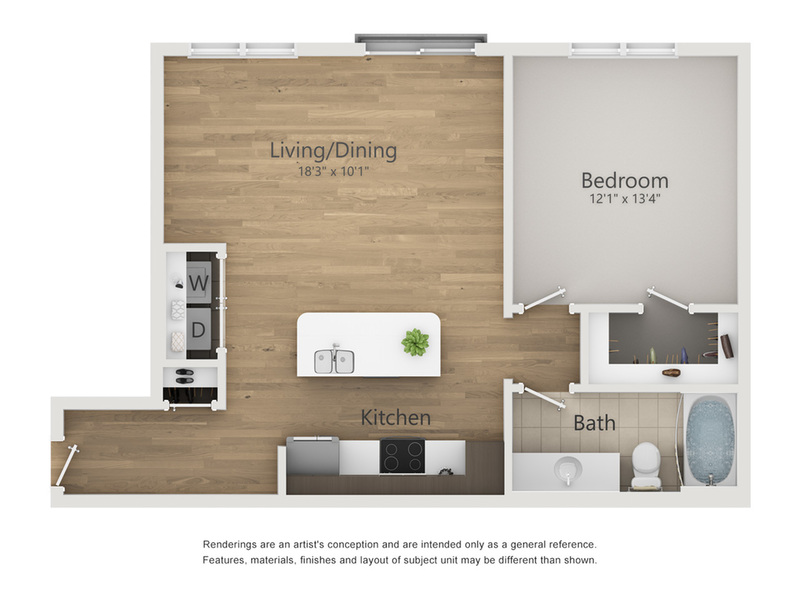 With 778 square feet of open, airy living space, the Regent unit could be your new one-bedroom apartment. Start with an open concept floor plan, high ceilings, stainless-steel appliances, and upgraded flooring and combine it with a great location and fantastic onsite amenities and you to need go no further! Our move-in ready units are just what you are looking for. The Melrose is more than an apartment complex. It is a living community designed with you in mind. With a resort style salt water pool, sundeck and accompanying outdoor grilling area there is plenty of space to unwind outside or entertain friends and family. If you have an active lifestyle, the Melrose has much to offer. There is a24-hour fitness center with weekly fitness classes, bike racks, and a dedicated fitness concierge. When you live at the Melrose Apartments, you have a clubroom with a demonstration kitchen that makes entertaining large groups easy and fun. What’s Nashville without music? We boast a music performance space and movie screening lounge for our residents to use. The Sutler Saloon, a local music bar, and hangoutis here, onsite as well. The historic neighborhood of Melrose is steps away from shopping, dining establishments, spas and theatres so no matter the time of day you can always find something great to do. And with the Melrose’s convenient location close tothe 440 Parkway and I-85, makes the rest of Nashville is close at hand. Vanderbilt University is less than 3 miles door to door, so really, this the perfect location for students, faculty or Commodores fans. The Regent at the Melrose Apartments is move-in ready, and available through the convenient tenant online portal. You can apply for a one-bedroom apartment, pay rent and request maintenance all in one place. Give us a call today at (615) 696-7448 and set up an appointment if you want to see our facilities.